Highlights from the Meet & Greet with Lela Lee! On Saturday October 19th, JANM members were invited to an exclusive opportunity with Lela Lee, the author and artist of the web comic book series Angry Little Girls, that explores stereotypes of genders and races. 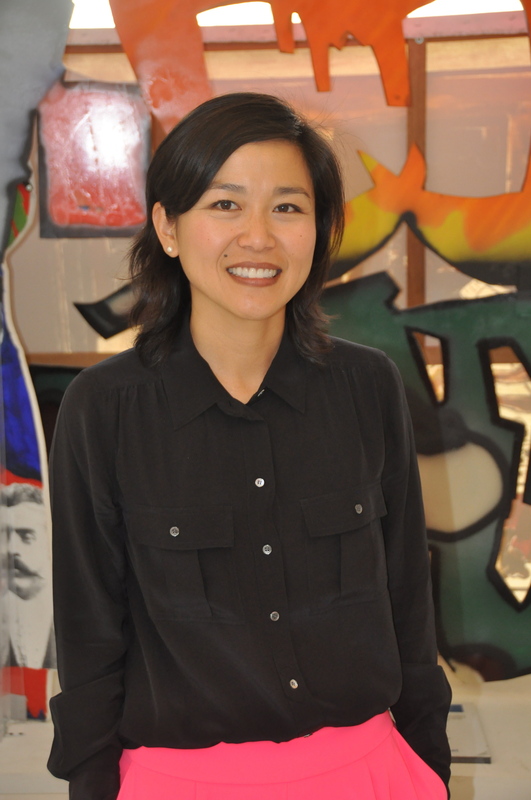 Members were able to spend an hour talking to Lela Lee before joining her in a public discussion on her comics and their impact on Asian Americans and beyond. The Meet & Greet was an intimate event, where each member was able to spend quality time getting to know Lela Lee by conversing with her and asking her a variety of questions. 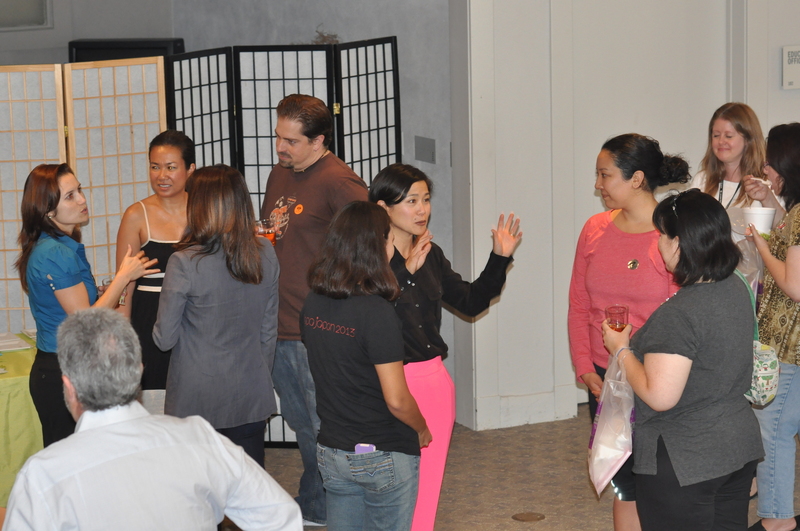 Lela Lee excitedly converses with JANM members in an exclusive Meet & Greet. Both members and Lela had an enjoyable time discussing topics ranging from Lee’s college experiences, to her career today. It was also a great opportunity for JANM members to get to know each other over tea and delicious cupcakes from Hotcakes Bakes! The program was presented in conjunction with the Marvels & Monsters: Unmasking Asian Images in U.S. Comics, 1942-1986 exhibition on view at JANM through February 9, 2014. Check out these photos from the Meet & Greet and Lela Lee’s presentation on Angry Little Girls! A pop-up shop, featuring all things “Angry Little Girls”, was set up by the JANM Store especially for the event. Lela Lee mixes and mingles with JANM members at her Meet & Greet. Members get to know Lela Lee and fellow JANM members over tea and delicious cupcakes from Hotcakes Bakes. Lela Lee gives an exclusive and insightful presentation on “Angry Little Girls” in the Tateuchi Democracy Forum. Lela Lee signs “Angry Little Girls” books for her fans. If you don’t have any of Lela Lee’s books, they are available for sale at the Museum Store along with other “Angry Little Girls” merchandise! RECIPROCAL FREE ADMISSION AND 20% STORE DISCOUNTS AT 17 SOUTHERN CALIFORNIA INSTITUTIONS & JANMSTORE.COM! Catch the Los Angeles Premiere of “Mrs. Judo” at JANM on Saturday, November 16th!